As one of the defining Marimba players of his generation, Bogdan Bacanu has been praised for his culture of sound as well as his deep musicality. He is professor of marimba at the Anton Bruckner Private University in Linz (Austria) since age 23 and was thus the youngest professor of his kind, world-wide. In 1998 he was awarded ,Musician of the Year' in Australia and in 2010 a honorary professorship by the University of Sechuan / China. He also was a teacher at the University for Music and Performing Arts Vienna. "I am originally a pianist and so am used to a Steinway on stage. When the Alpha marimba was introduced, it was the very first design marimba on the market. An instrument with superlative tuning and sound quality. So I now have an instrument whose sound is matched perfectly to my requirements and style. It means that I never have any tuning problems when I play in an orchestra or ensemble. And anyone who knows my playing style will know that I can play with a great deal of power. However, I still had a number of wishes regarding the design. But this dream was realized when I went into the process in more detail with Adams and KesselsGranger." The Making of Bach Concertos - Michi Gaigg and The Wave Quartet talking about their cooperation and the idea of combining Bach, Marimba and Period Instruments. 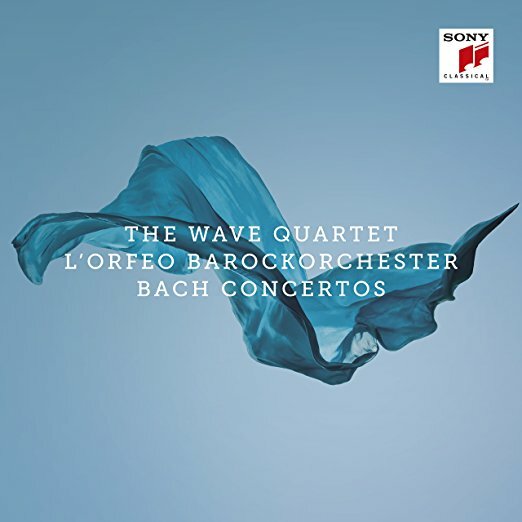 "The Wave Quartet came into being when the world-renowned marimba player Bogdan Bacanu was making an adaptation for his instrument of JS Bach’s three concertos for two harpischords. 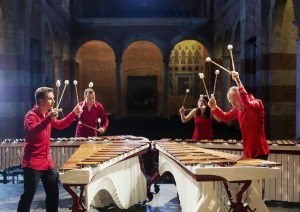 He teamed up with his former pupil Christoph Sietzen – a prizewinner in the 2014 ARD International Music Competition and a Rising Star of the European Concert Hall Organisation for the 2017/18 season – and with Emiko Uchiyama and Vladi Petrov, who had won a number of international competitions as a marimba duo."